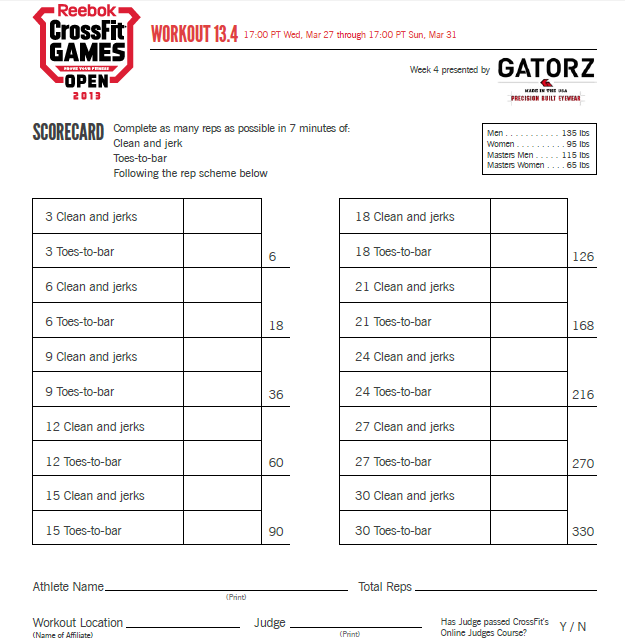 El 13.4 open workout de los juegos Crossfit 2013 en papel se ve muy fácil. Son tan sólo 7 minutos y se ejecutan en series progresivas de 3 en 3 hasta que lleguen los 7 minutos. Si comparo a mi parecer los 5 open workout este en mi caso se lleva el 1er lugar en dificultad. Talves no es tan difícil como lo cansado de sostener todo mi peso en la barra y encima tener que levantar las piernas y topar la punta del pie con la barra. Se empieza la rutina parado frente a la barra, esta en el piso. Y listos? 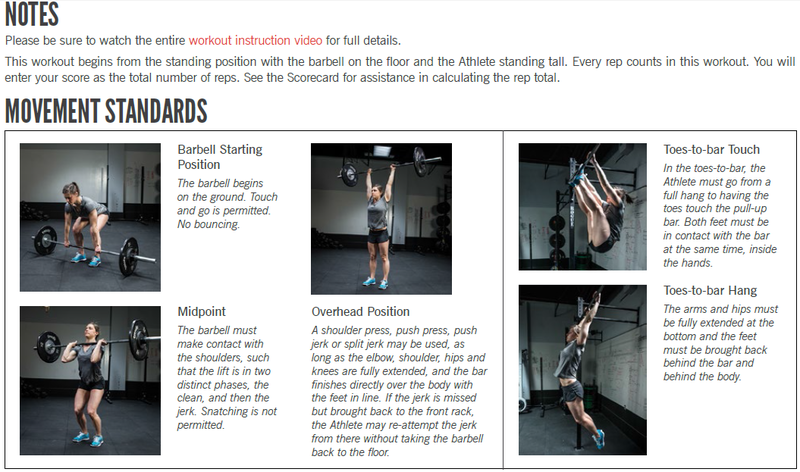 Notes: Please be sure to watch the entire workout instruction video (above) for full details. *The official weight is in pounds. 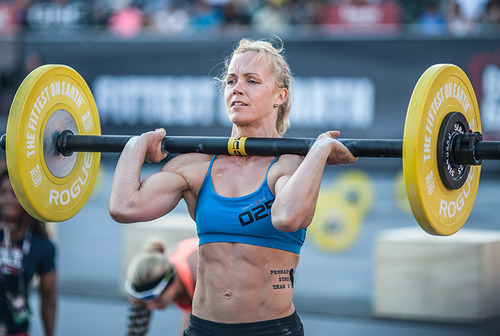 For your convenience, the minimum acceptable weights in kilograms are 61 kg for the Men, 43 kg for the Women, 52 kg for the Masters Men, 29 kg for the Masters Women. Video Submission Standards. Click here to see an example of a valid video submission. Prior to starting, film the plates and barbell to be used so the loads can be clearly seen. All video submissions should be uncut and unedited in order to accurately display the performance. A second person with a stopwatch should be in the frame throughout the entire workout. Shoot the video from the side so it is clear that the barbell is locked out overhead, and the feet can be seen behind the plane of the bar at the bottom, and in contact with the bar at the top.